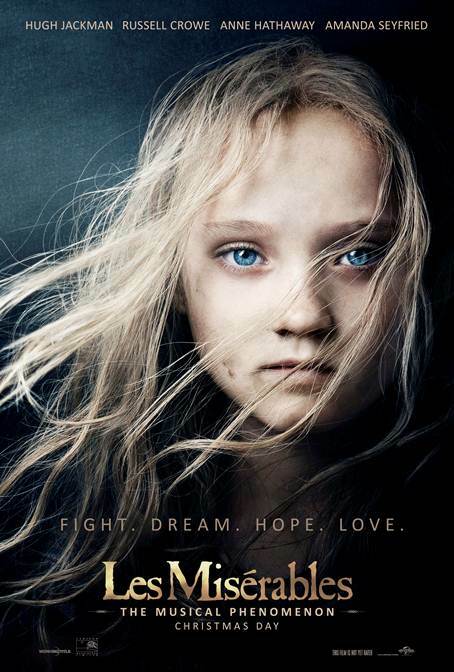 Here is the new poster from Universal Pictures’ upcoming film Les Miserables. The movie is directed by Tom Hooper, starring Hugh Jackman, Russell Crowe, Anne Hathaway, Amanda Seyfried, Eddie Redmayne, Aaron Tveit, Samantha Barks, Helena Bonham Carter, Sacha Baron Cohen. Les Miserables opens in theaters December 14, 2012. Here is the trailer from Universal Pictures’ upcoming film Les Miserables. The movie is directed by Tom Hooper, starring Hugh Jackman, Russell Crowe, Anne Hathaway, Amanda Seyfried, Eddie Redmayne, Aaron Tveit, Samantha Barks, Helena Bonham Carter, Sacha Baron Cohen. The Dictator will be in theaters May 16, 2012. The Dictator will be in theaters May 11, 2012.